This release allows you to sync the analysis results to the nodes and elements contained in the current element set. Normally results are shown for all nodes and elements in the model. This may make it difficult to review results in one specific area of interest, plus it may be very tedious stepping through all the pages of data to find the few specific lines of interest. Now the displayed results can be limited to specific elements of interest, as identified in the current Selection Set. Element selection may be done by assigned Group Name (“Beam”, or “2nd Floor”, for example), Member Type (“W8X24”, for example), Element Select by Window, or by Double-Clicking an individual element. Once a Selection Set has been created, checking the Selected Only box on the Output Reports Menu regenerates the Reports, showing results only for those elements, and for the nodes located on those elements, contained in the Selection Set. Unchecking the Selected Only box restores the results to cover the entire model. If the Selection Set is changed (and the Selected Only box is already checked), the Output Reports can be resynced to the new Selection Set by clicking the Selected Only link (no need to recheck the checkbox). This feature works for both Static and Dynamic Analyses, for the on-screen reports and for the printed reports. To better learn how to use this new feature, we invite you to watch the short video Using ‘Select’ to Tailor Output Results. Remember, because CloudCalc is delivered via the cloud, we are always able to provide more updates faster than you can expect from our PC-based competitors. We continue to average one update every 5 weeks over the past 3+ years. Let us know, at techsupport@cloudcalc.com, which update you would like to see next. 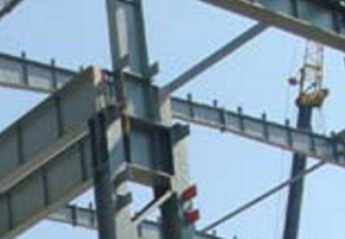 To learn more about CloudCalc, the scalable, collaborative, and mobile cloud-based engineering software, please visit: www.cloudcalc.com – Structural Analysis in the Cloud.